Vurderet af gæster efter deres ophold på Apartment Nørrebrogade. The view is stunning and totally worth the 9 flights of stairs. The apartment is vast and light and airy. the location is great, not only the views but bakery next door and a couple of supermarkets only meters way. Plenty of places to eat and drink close by and bus stops also close. You can walk to the city centre, Tivoli gardens, Norreport station and Nyhavn but buses are also plenty and regular. The facilities were ok in the apartment for self catering. Perfectly situated in the middle of the city, sunny and bright. The apartment is huge! Very spacious and great views. 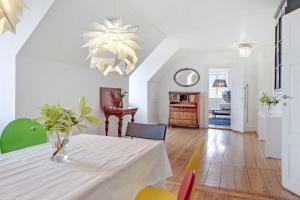 Great communication with the host, great location near the city centre of Copenhagen. The apartment is very spacious and has plenty of facilities to have a good stay. The apartment was clean. 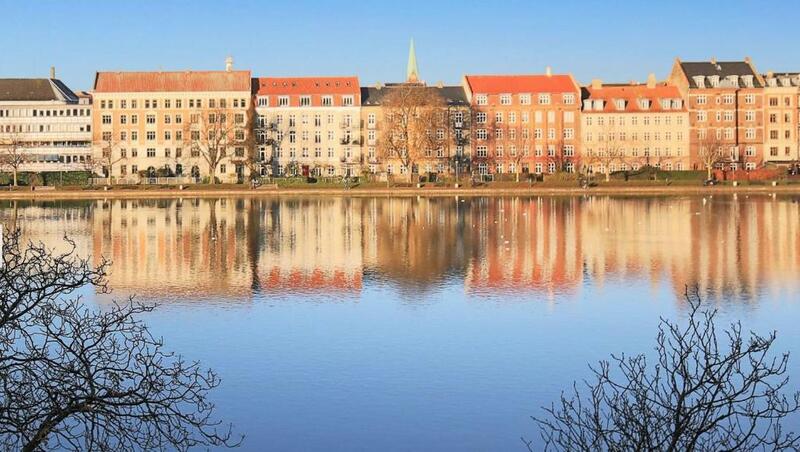 Super location, great communication from owner, lovely apartment with excellent views. There’s blue zone underground parking about 10 minute walk around the corner. Food shops, bars, pharmacy, restaurants all within 100 metres of apartment. Would recommend. The apartment is very big and with a lot of light, and with beautiful views. The apartment was really close to the city center. Location was perfect! Market downstairs. Big apartment and nice view! Check-in was flexible. Beautiful place near the river. Very big appartment with almost all you need for suitable accomodation. A lot of stores and groceries near the house. Close to city center and parks. Friendly owners. Brilliant location, great views across the city, lovely spacious flat. Great neighbourhood. Totally fell in love with Kobenhavn. It's important to note the great views are due to being on the top floor, with no lift. Great for us, keeping us fitter, but some might be put off by the 9 flights of stairs. "The view is stunning and totally worth the 9 flights of stairs. The apartment is vast and light and airy. " "Perfectly situated in the middle of the city, sunny and bright." "The apartment is huge! Very spacious and great views." "Great communication with the host, great location near the city centre of Copenhagen. The apartment is very spacious and has plenty of facilities to have a good stay. The apartment was clean." "Super location, great communication from owner, lovely apartment with excellent views. There’s blue zone underground parking about 10 minute walk around the corner. " 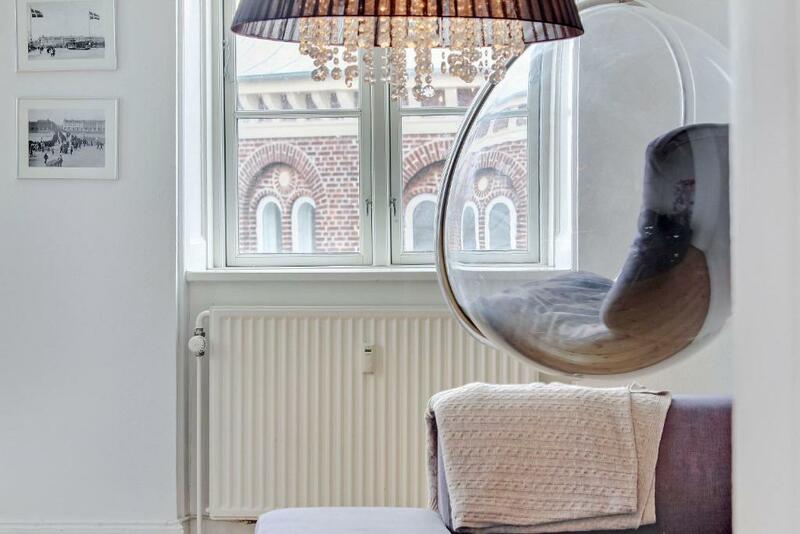 "The apartment is very big and with a lot of light, and with beautiful views." "The apartment was really close to the city center." "Location was perfect! Market downstairs. Big apartment and nice view! Check-in was flexible." "Beautiful place near the river. Very big appartment with almost all you need for suitable accomodation. A lot of stores and groceries near the house. Close to city center and parks. Friendly owners." "Brilliant location, great views across the city, lovely spacious flat. Great neighbourhood. Totally fell in love with Kobenhavn. " Apartment Nørrebrogade ligger 800 meter fra Torvehallerne, 1,1 km fra Rosenborg Slot og 1,5 km fra David Collection. Der tilbydes indkvartering i København. Ejendommen ligger 1,7 km fra Hirschsprung-samlingen og 1,7 km fra Det Runde Tårn. Lejligheden har 2 soveværelser samt køkken med opvaskemaskine og ovn. Danmarks nationalmuseum ligger 1,8 km fra lejligheden. 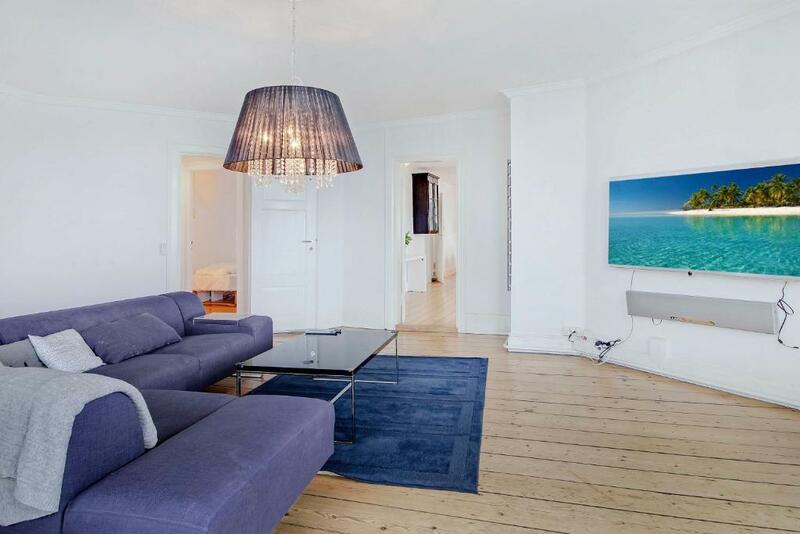 Den nærmeste lufthavn er Københavns Lufthavn, 9 km fra Apartment Nørrebrogade. Apartment Nørrebrogade har budt gæster fra Booking.com velkommen siden d. 5. jul. 2017. 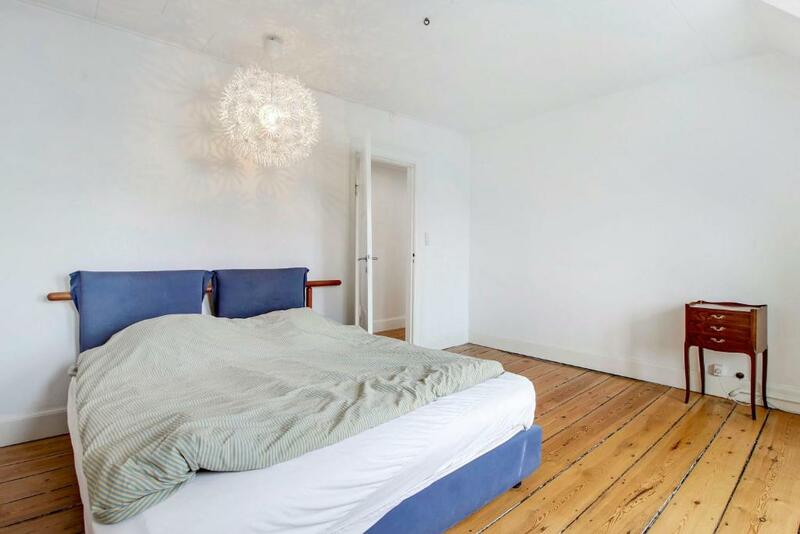 Hvornår ønsker du indkvartering på Apartment Nørrebrogade? Denne lejlighed har køkken med ovn og opvaskemaskine. Der er offentlig parkering i nærheden (reservering ikke nødvendigt) og koster DKK 11 per time. 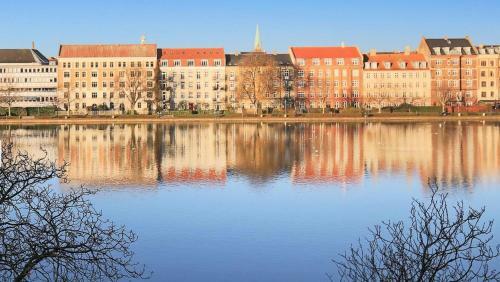 The coolest place to live in Copenhagen. This amazing penthouse apartment is located in the City centre of Copenhagen with fast and easy access from the Airport. Only 20 mins on the Metro! 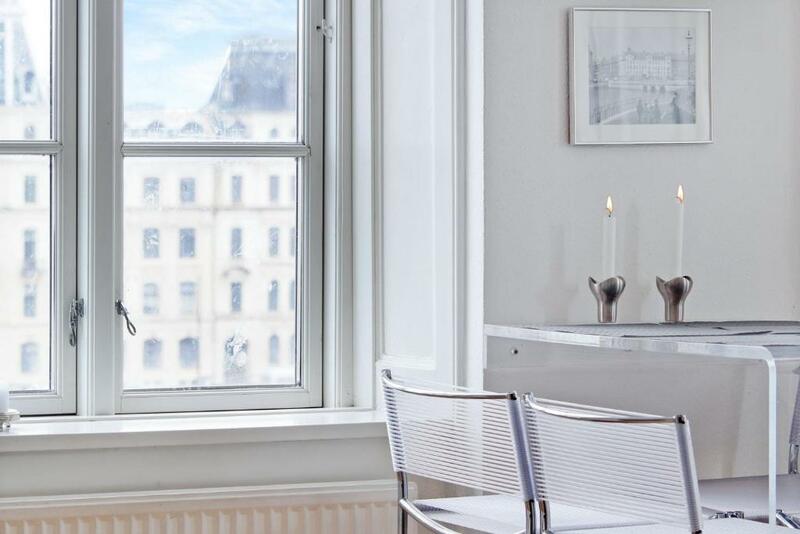 You will find yourself within steps of the best the city has to offer; The Lakes, Nyhavn, Stroeget, Tivoli Gardens, Rosenborg Castle, Torvehallerne, Kings Garden, shopping etc. Many restaurants within 2 minutes walking of the apartment. Suited for friends, families or couples. Welcome to Wonderful Copenhagen! 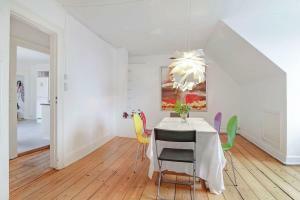 Two bedrooms (fits up to 5 persons) - two very large livingrooms - 168m2. Located on the 4th floor (penthouse) - Amazing view overlooking the lakes. 1 king-size bed. 3 one person beds. Sheets and covers for all beds. One large L-shaped couch. Fully equiped kitchen incl. Nespresso coffee. Tv. Radio. Free Wi-fi. Large living room table (6 persons). Note that there two regular bedrooms, one big walk-in closet, two living rooms and a kitchen. There is one king size bed in one bedroom and three single beds in the other bedroom. Two of the single beds can be arranged together to a king and if you like to have three bed rooms, one of the single beds can be moved in to on of the living rooms. I will greet you welcome when you arrive. I will personally be available for any kind of guidance and assistance throughout your stay. Just let me know if you like three bedrooms instead of two, and I will arrange it for you before you arrive. You have all acces to the entire apartment. Fresh and clean towels will be provided for you when you arrive. 50 MB High speed internet, WI-FI Oven and stove Dishwasher, refrigiator and freezer Washingmachine and dryer Iron and hangers. All types of restaurants within 2 minutes walking of the apartment i.e. Budget: - Sliders (awarded Best burgerjoint in Copenhagen, DKK 110), - Nørrebro Burger (great burgers DKK 89) - California kitchen (DKK 95) - Non solo pizza (DKK 65, awarded Best pizza in Copenhagen). Mid-range: - 20A (DKK 130, Meat and fish) - Gran Torino (DKK 130, italian) - Madklubben (Meat and fish, DKK 130) Expensive: - Kiin Kiin (Michelin Star) - Höst (Danish) - NOMA (Michelin Star) - Geranium (Michelin Star). Nørreport Station with regional trains, S-train and Metro is 8 minutes walk away (Nørreport Station is the biggest in Copenhagen and can take you anywhere in Denmark). CPH Airport is 20 minuttes ride with Metro. Bus stop right outside the apartment building. Bikes can be rented in Loke Cykler which is neighbour to the apartment building. If you arrive by car please let me know, and I will try to arrange a free parking spot for you right next the apartment building. 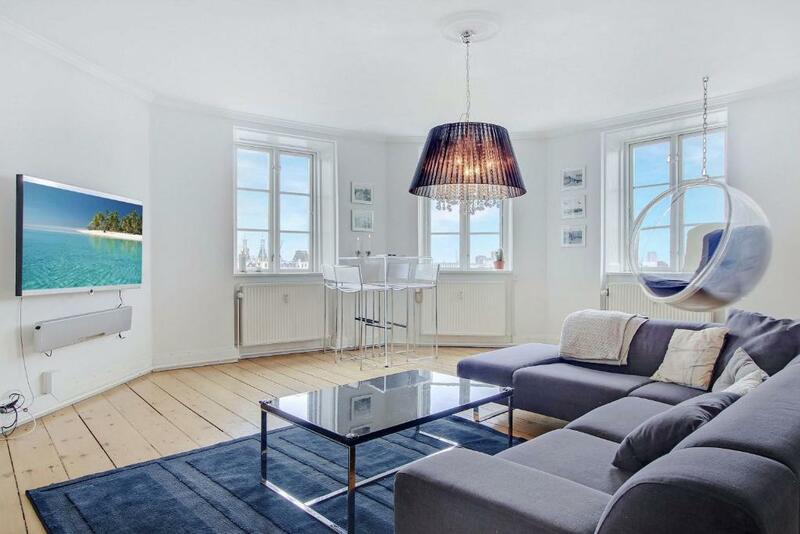 Før du booker Apartment Nørrebrogade tager imod forespørgsler! Angiv dit ønske i næste trin. Denne lejlighed ligger på 4. etage i en bygning uden elevator. Du bedes give Apartment Nørrebrogade besked om, hvornår du regner med at ankomme. Du kan gøre dette ved at skrive til hotellet i boksen "Særlige anmodninger" når du booker, eller du kan kontakte overnatningsstedet. Du finder kontaktoplysningerne på din reservationbekræftelse. "The view is stunning and totally worth the 9 flights of stairs. The apartment is vast and light and airy. the location is great, not only the views but bakery next door and a couple of supermarkets only meters way. Plenty of places to eat and drink close by and bus stops also close. You can walk to the city centre, Tivoli gardens, Norreport station and Nyhavn but buses are also plenty and regular. The facilities were ok in the apartment for self catering." "The apartment is huge! Very spacious and great views. " "Super location, great communication from owner, lovely apartment with excellent views. There’s blue zone underground parking about 10 minute walk around the corner. Food shops, bars, pharmacy, restaurants all within 100 metres of apartment. Would recommend. " "Brilliant location, great views across the city, lovely spacious flat. Great neighbourhood. Totally fell in love with Kobenhavn. It's important to note the great views are due to being on the top floor, with no lift. Great for us, keeping us fitter, but some might be put off by the 9 flights of stairs."